Continuing with our mission to interconnect Southeast Asia by road, we are pleased to announce the integration of online ticket booking for buses in Thailand. We are rolling out bus booking in cooperation with the most reputable bus companies in Thailand. 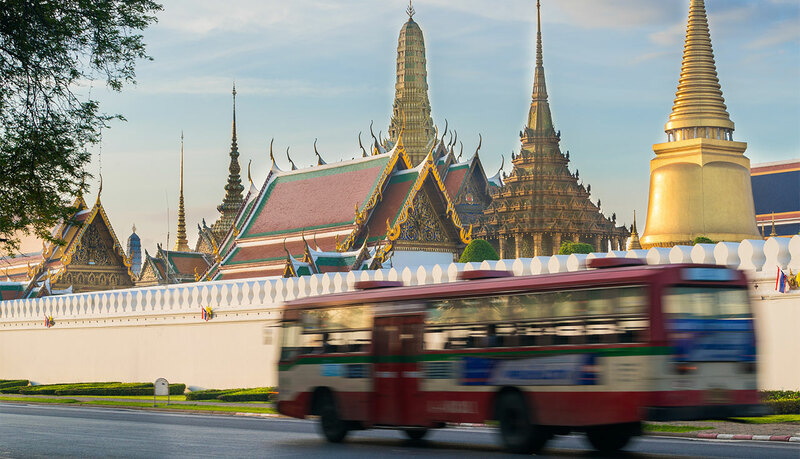 Travellers can book tickets for bus routes in Northern Thailand, Central Thailand, Eastern Thailand and Southern Thailand, as well as international bus routes from Thailand to Cambodia, Laos and Malaysia. For the domestic bus routes, we support advance ticket booking in partnership with Thai Sriram and Bell Travel Service, a long-established bus operator providing premium low-cost VIP travel services for international tourists to 9 destinations: Chiang Mai and Pai in Northern Thailand, Bangkok, Ayutthaya, Kanchanaburi and Hua Hin in Central Thailand, Pattaya in Eastern Thailand, Surat Thani, the national parks of Khao Sok and Khao Lak, Krabi and Phuket in Southern Thailand. Road passenger transportation in Thailand is traditionally carried out with two kinds of vehicles: buses and minivans. 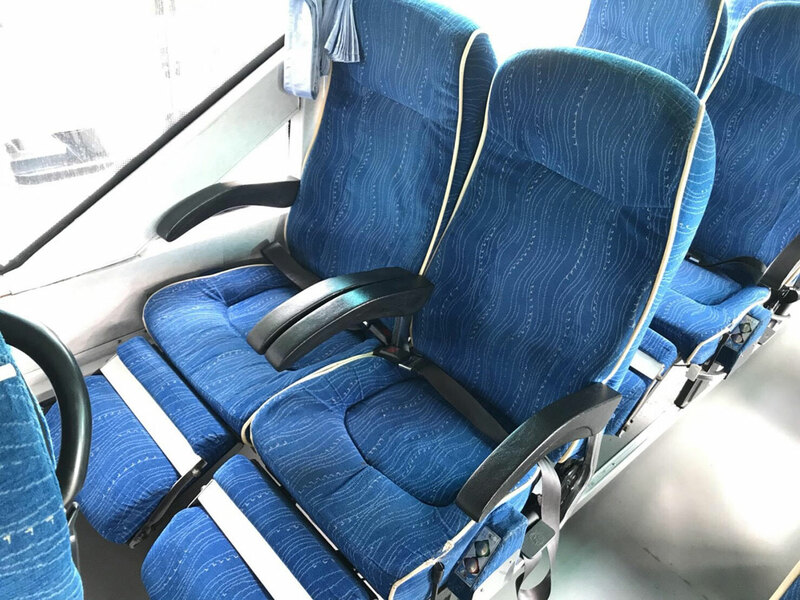 The most common models of seating bus in Thailand are single-deck and double-deck Scania coaches equipped with reclining seats. Sleeper buses allow travellers to cover the distance between two cities overnight, sleeping during the most part of the trip. 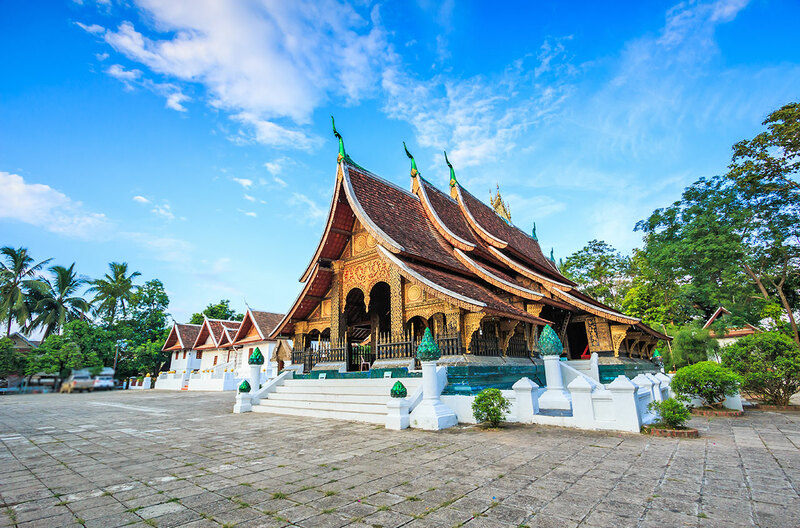 Northern Thailand comprises the provinces of Chiang Mai, Chiang Rai, Lampang, Lamphun, Mae Hong Son, Nan, Phayao, Phrae, Uttaradit, Tak, Sukhothai, Phitsanulok, Phichit, Kamphaeng Phet, Phetchabun, Nakhon Sawan and Uthai Thani. 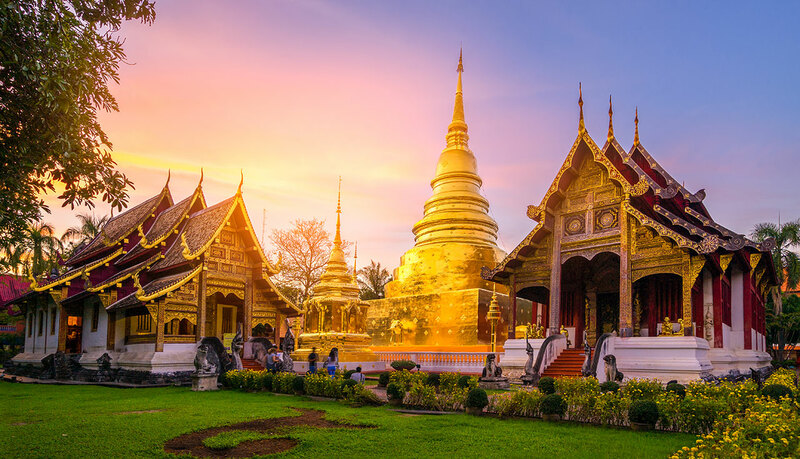 Chiang Mai is the main tourism hub in Northern Thailand, praised for its mountainous topography, its cool climate, and its cultural and historical background. – Thai Sriram operates regular bus routes from Bangkok to Chiang Mai and Ayutthaya to Chiang Mai. – Thai Sriram operates regular bus routes from Bangkok to Pai. 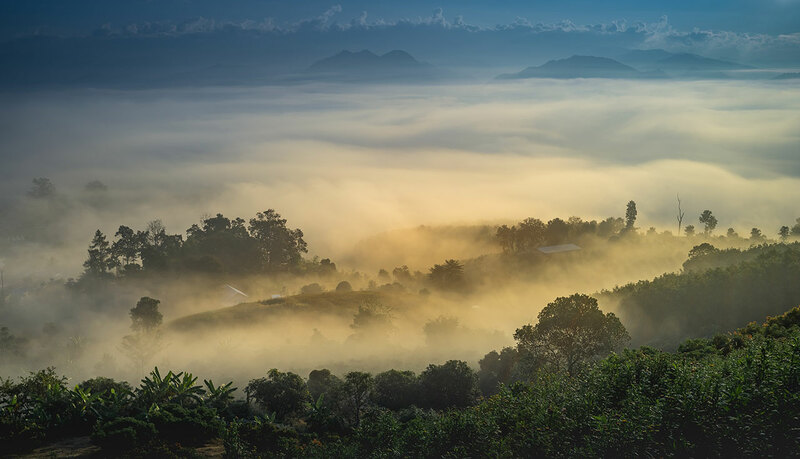 Pai is a picturesque town in Mae Hong Son Province lying in a valley at the foot of the mountains offering visitors a relaxed atmosphere. 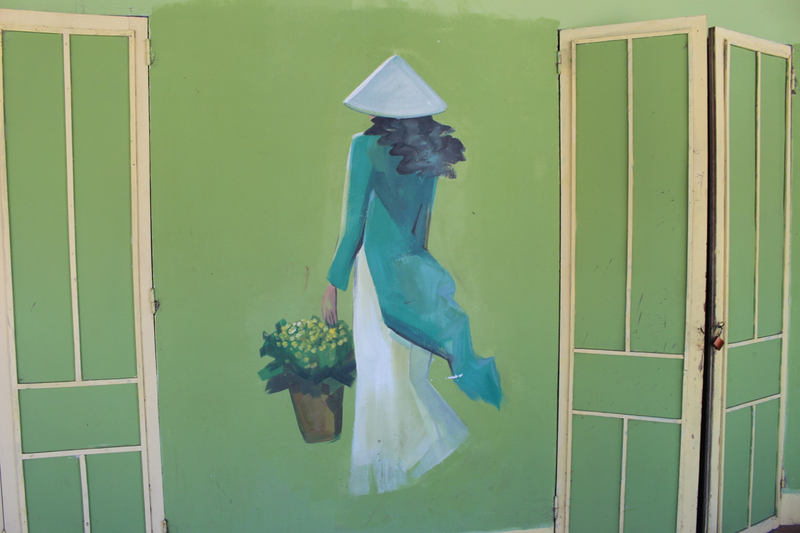 Many tourists use it as a base for trekking and visiting the hill tribes in Northern Thailand. Central Thailand comprises the provinces of Ang Thong, Phra Nakhon Si Ayutthaya, Bangkok, Chai Nat, Lop Buri, Nakhon Pathom, Nonthaburi, Pathum Thani, Samut Prakan, Samut Sakhon, Samut Songkhram, Saraburi, Sing Buri, Suphan Buri, Nakhon Nayok, Kanchanaburi, Ratchaburi, Phetchaburi and Prachuap Khiri Khan. 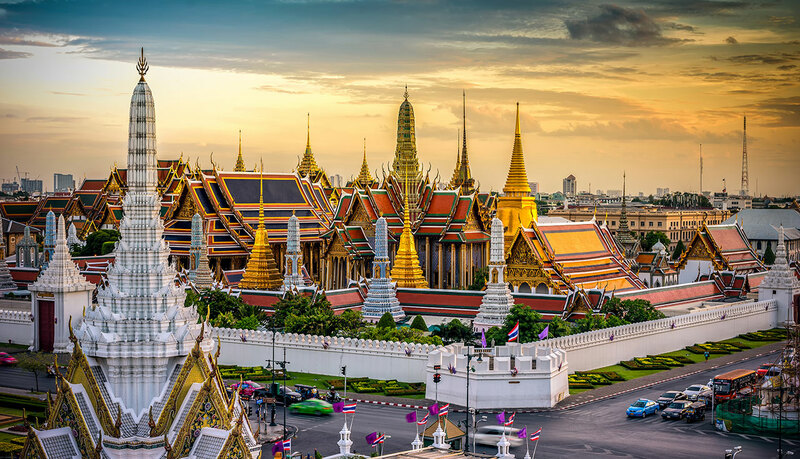 Bangkok is the main transportation hub in Central Thailand, with bus companies such as Thai Sriram and Bell Travel Service operating in the region. – Thai Sriram operates regular bus routes from Chiang Mai to Bangkok. 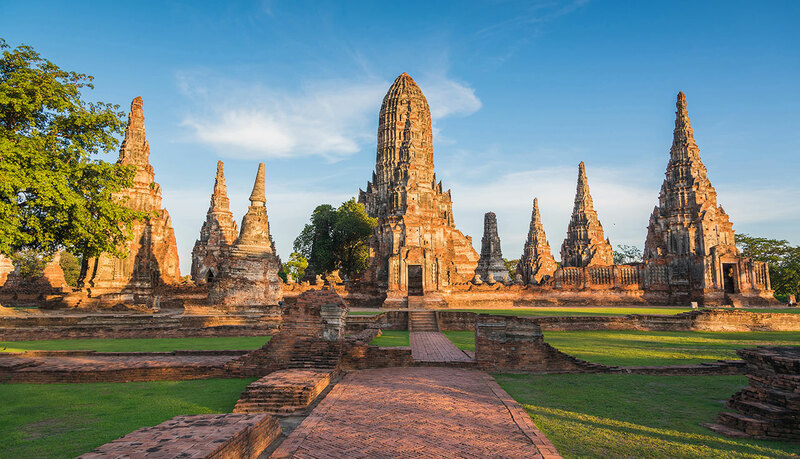 – Thai Sriram operates regular bus routes from Bangkok to Ayutthaya and Chiang Mai to Ayutthaya. – Thai Sriram operates regular bus routes from Bangkok to Kanchanaburi. 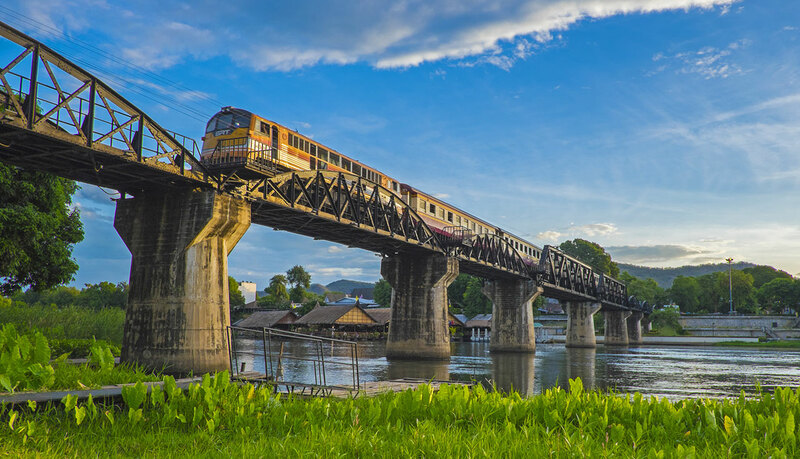 Most visitors come to Kanchanaburi to visit the Bridge over the River Kwai, part of the infamous Death Railway to Burma built during World War II, but this town is also the gateway to beautiful national parks filled with waterfalls and caves. – Bell Travel Service, Thai Sriram operate regular bus routes from Bangkok to Hua Hin and Pattaya to Hua Hin. 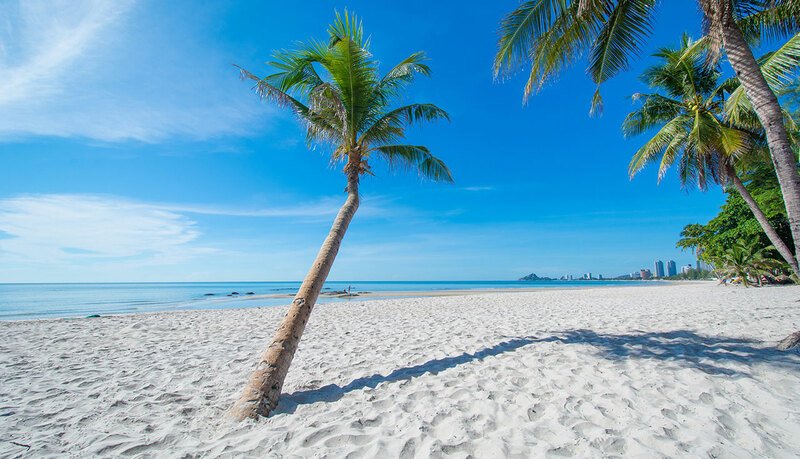 Hua Hin is a popular coastal town perfect for weekend escapes a few hours away from Bangkok. Eastern Thailand comprises the provinces of Chachoengsao, Chanthaburi, Chon Buri, Prachin Buri, Rayong, Sa Kaeo and Trat. – Bell Travel Service, Thai Sriram operate regular bus routes from Bangkok to Pattaya. 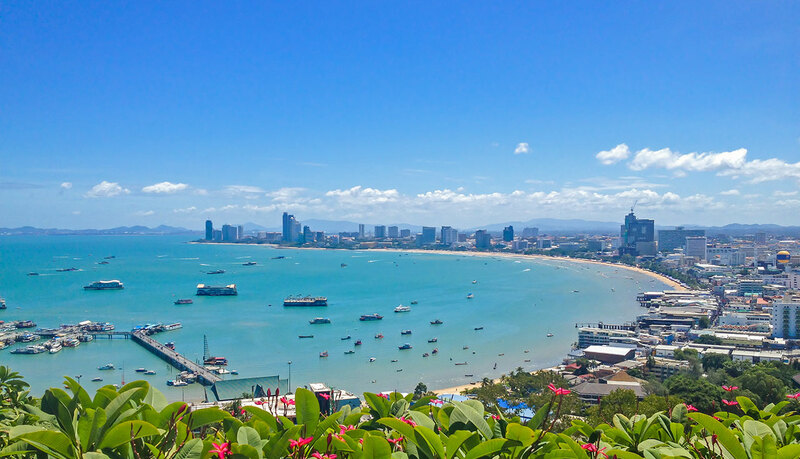 Pattaya is a seaside resort city on the Gulf of Thailand. Easily accessible from the capital, it makes a popular weekend getaway for beachgoers. 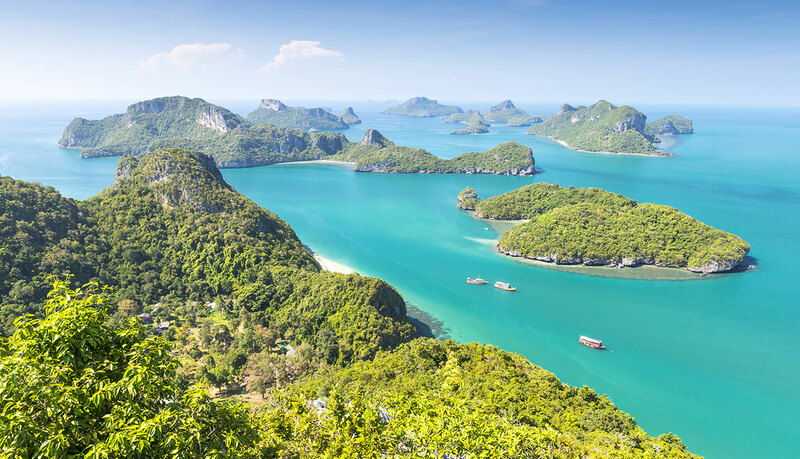 Southern Thailand comprises the provinces of Chumphon, Nakhon Si Thammarat, Narathiwat, Pattani, Phatthalung, Songkhla, Surat Thani, Yala, Krabi, Phang Nga, Phuket, Ranong, Satun and Trang. 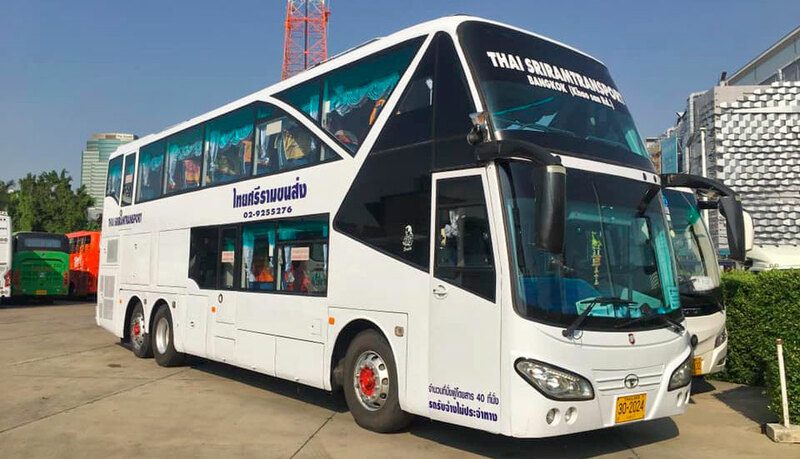 – Thai Sriram operates regular bus routes from Bangkok to Surat Thani, where passengers can connect with ferry services to the islands of Koh Samui, Koh Phangan and Koh Tao. Surat Thani is the gateway to the islands in the Gulf of Thailand. – Thai Sriram operates regular bus routes from Bangkok to Khao Sok National Park and Bangkok to Khao Lak–Lam Ru National Park in the West Coast. 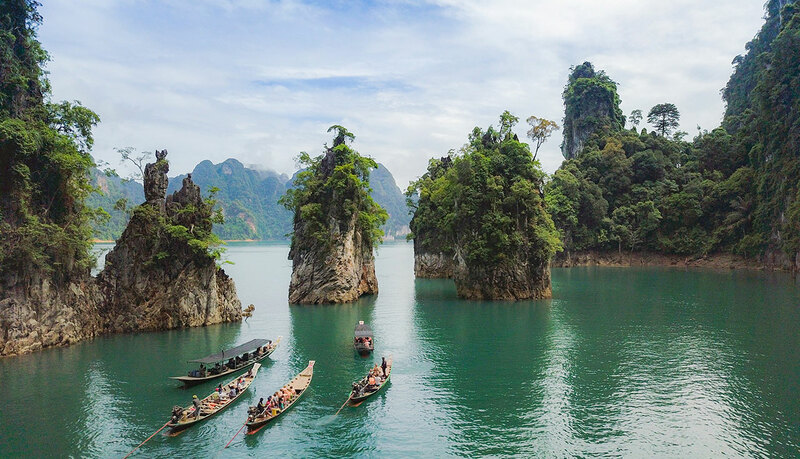 Khao Sok and Khao Lak comprise the largest area of rainforest in Southern Thailand. The natural parks are traversed by limestone ranges while the coast encompasses beautiful beaches and tropical evergreen forest. – Thai Sriram operates regular bus routes from Bangkok to Krabi. 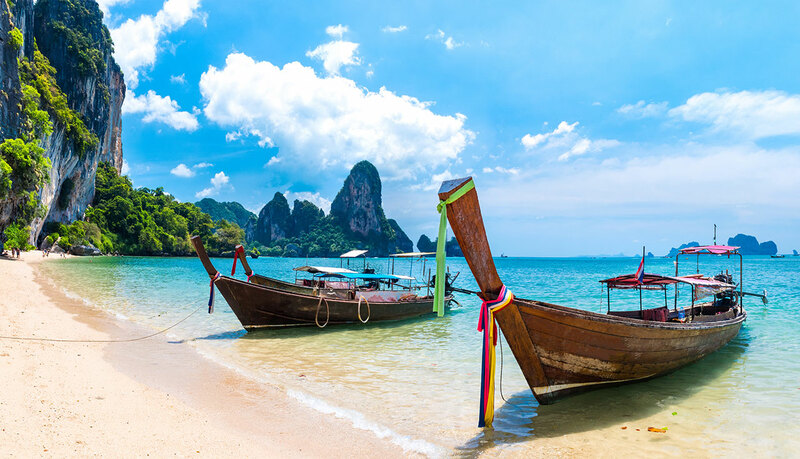 Krabi province is filled with beaches, coastal karst formations, and islands. – Thai Sriram operates regular bus routes from Bangkok to Phuket. 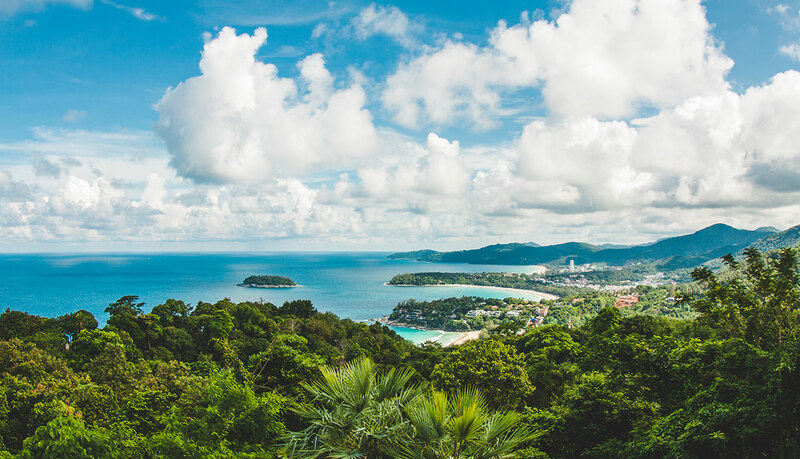 Phuket island is the country’s most developed tourist hot spot, reached every year by millions of visitors captivated by the amazing sandy beaches. 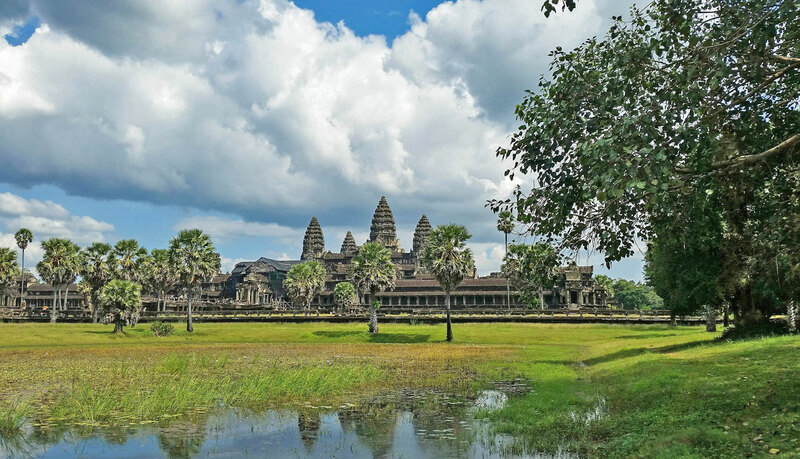 For those travellers who wish to exit Thailand by road, there are international bus services to Siem Reap and Phnom Penh in Cambodia, Vientiane in Laos, and Kuala Lumpur in Malaysia. Thailand is connected by road with Cambodia through two main border checkpoints, namely Aranyaprathet–Poipet in Sa Kaeo province, and Hat Lek–Koh Kong in Trat province. – Giant Ibis operates regular bus services from Bangkok to Siem Reap through Aranyaprathet–Poipet international border gate in Sa Kaeo province. – Mekong Express operates regular mini van services from Bangkok to Phnom Penh through Aranyaprathet–Poipet international border gate in Sa Kaeo province. Travellers bound to Cambodia can bring stamped Visa or apply for e-visa or Visa on-arrival at Poipet port of entry. – Giant Ibis operates regular bus services from Siem Reap to Bangkok through Aranyaprathet–Poipet international border gate in Banteay Meanchey province. – Mekong Express operates regular mini van services from Phnom Penh to Bangkok through Aranyaprathet–Poipet international border gate in Banteay Meanchey province. Thailand is connected by road with Laos through eight border checkpoints, namely Chong Mek–Vang Tao in Ubon Ratchathani province, Mukdahan–Savannakhet in Mukdahan province, Nakhon Phanom–Thakhek in Nakhon Phanom province, Bueng Kan–Pakxan in Bueng Kan province, Nong Khai–Thanaleng in Nong Khai province, Tha Li–Nam Hueng in Loei province, Huay Kon–Muang Ngeun in Nan province, and Chiang Khong–Huay Xai in Chiang Rai province. Thailand is connected by road with Malaysia through four border checkpoints, namely Pedang Besar, Sadao–Changlun, Betong–Pengkalan Hulu and Sungai Kolok–Rantau Panjang in Songkhla province. 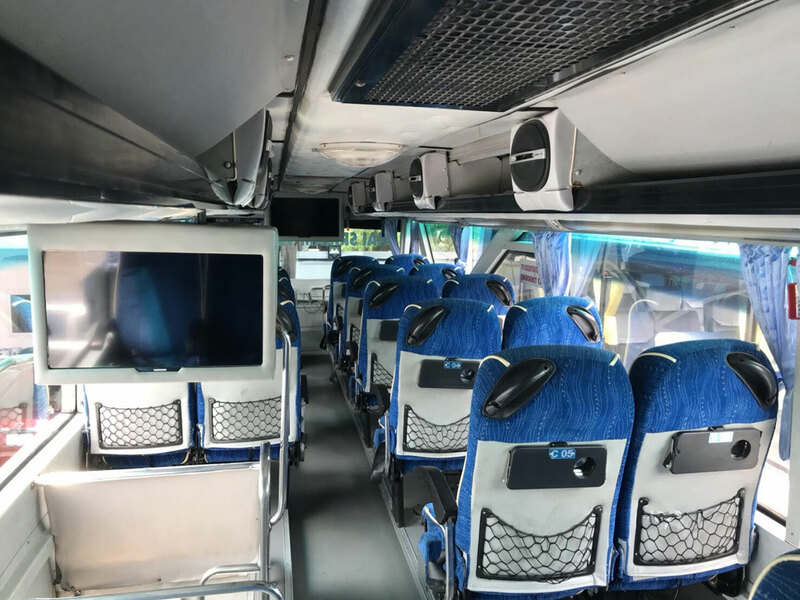 – Alisan Coach operates regular bus services from Hat Yai to Kuala Lumpur via Danok through Sadao–Changlun international border gate in Songkhla province. 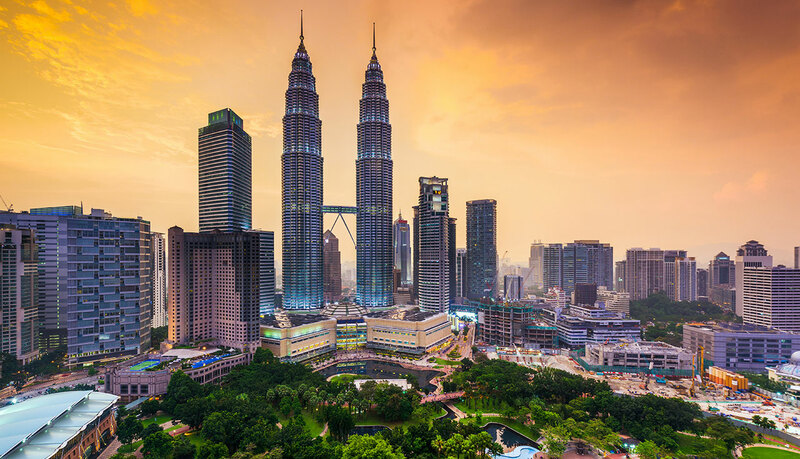 Travellers bound to Malaysia are required visa exemption or else stamped Visa for Malaysia or apply for eVisa. – KKKL Express, Alisan Coach operate regular bus services from Kuala Lumpur to Hat Yai via Danok through Sadao–Changlun international border gate in Kedah state. Baolau cooperates with multiple bus companies to facilitate advance online ticket booking in Thailand. You can search your itinerary between any two cities for your planned travel dates. Once the reservation is confirmed, you will receive an electronic ticket by email ready to present at the point of departure. Book your bus tickets with Baolau and reach your destination in Thailand.